Book in the best rubbish removers in Garfield and surrounds! Rubbish removal in Garfield has never been easier with Big Bins! Skip Bin Hire made easy by experts with over a decade experience. Get in touch today! No matter whether you want to hire a bin or have rubbish removed from your property, we at Big Bins can help you out. With over a decade in the business, we here at Big Bins know what it takes to get the job done. With a large range in bins and skips available for hire, we can help you decide what is the best size bin for your clean up whether big or small! With environmentally friendly disposal, and fast processing, we are the skip hire you have been waiting for. Bin Hire and Rubbish Removal that is Environmentally Friendly! Got a major renovation or construction project underway? We at Big Bins can organise effective rubbish removal in Garfield, Warragul, Drouin and the surrounding areas. No matter what the job, we will have the skip size for you with our bins ranging from 2 through to 18 cubic metres, aiming to make every task easier. If you’re happy to move your waste yourself, we also offer skip bin hire that’s affordable and easy-to-use. You can know that your waste will also not contribute to the growing size of landfill being pumped into our planet. All rubbish collected through our service will go through a Waste Recycling Station, and reprocess almost all rubbish to reduce the amount that would be going into landfill. Known for our exceptional customer service, trustworthiness, expertise and prompt delivery in the area, Big Bins is the choice to go with in any rubbish removal process. Catering to both commercial and residential clean ups, no job isn’t covered with our range of skips for hire. Contact us today for your free no obligations quote regarding the bin and skip hire that we provide. You can call Andrew on 0400 557 927 for expert knowledge on your rubbish removal, or send a message through our contact page. 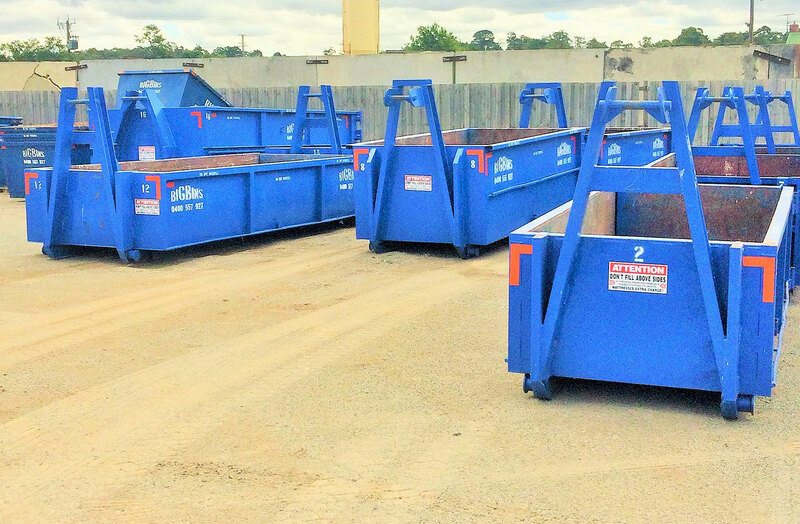 We offer our skip hire services to Warragul, Drouin, Bunyip, Pakenham and many, many more areas. We are the right choice in helping you with your clean up!